Anyone with a Preparer Tax Identification Number (PTIN) can prepare a tax return for a client. However, tax return preparers have differing levels of skills, education and expertise. 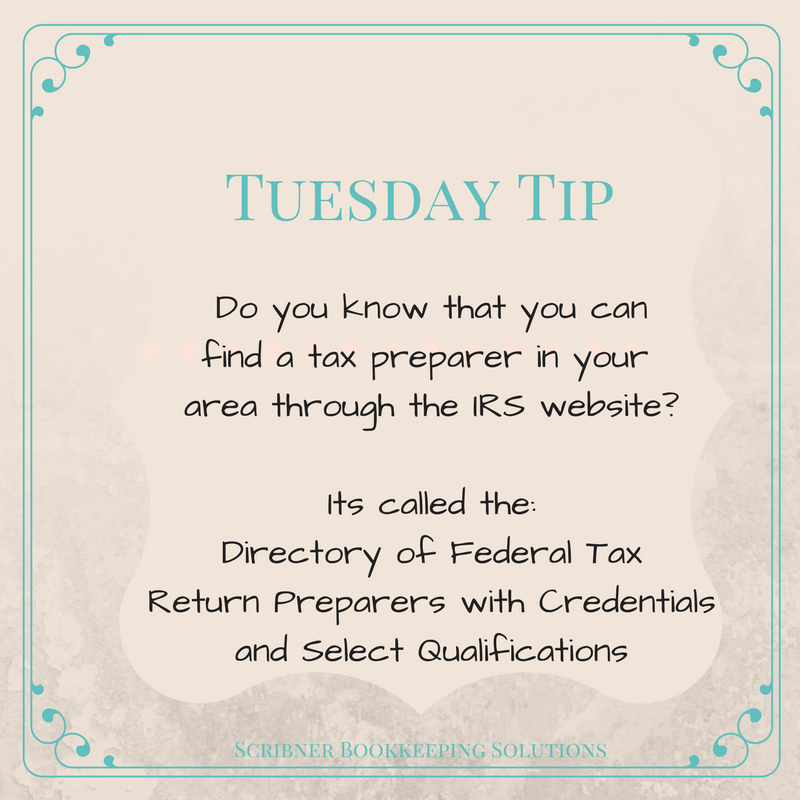 This searchable directory is intended to help you with your choice by providing a listing of preparers in your area who currently hold professional credentials recognized by the IRS or who hold an Annual Filing Season Program Record of Completion. What a great tool!